What causes those small, painful lesions in the mouth called cold sores? An allergic reaction to eating certain food items can irritate the mouth, and trigger the development of a cold sore. Having colds, the flu, or other illnesses causes the immune system to weaken, and this is the time when a cold sore infection is more prone to attack. Hormonal changes during pregnancy can trigger cold sores. As a woman’s hormones fluctuate during menstruation, infections such as cold sores can set in. 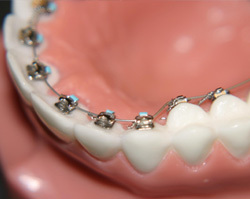 Wearing dental braces or loose dentures can result to cold sores. The hard metal parts that frequently rub against the inner mouth parts can lead to soft tissue damage, and can easily turn to cold sores. During stressful times, the body is more susceptible to infections. Cold sores are just waiting to form and attack during these times of stress.